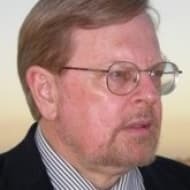 Historian, author and strategic analyst — and onetime industrialist — Gregory R. Copley, 70, has for four decades worked at the highest levels with various governments around the world, advising on national security, intelligence, and national management issues. He has authored more than 30 books, including "The Art of Victory" (2006) and "UnCivilization: Urban Geopolitics in a Time of Chaos" (2012). An Australian, he is President of the International Strategic Studies Association, based in Washington, DC, and Editor-in-Chief of the "Defense & Foreign Affairs" group of publications, including the government-only intelligence service, the Global Information System. Among his international recognitions, he was, in 2007, made a Member of the Order of Australia in the Queen's Birthday Honours.